On Tuesday 14th I had the best afternoon birding that I've ever had. 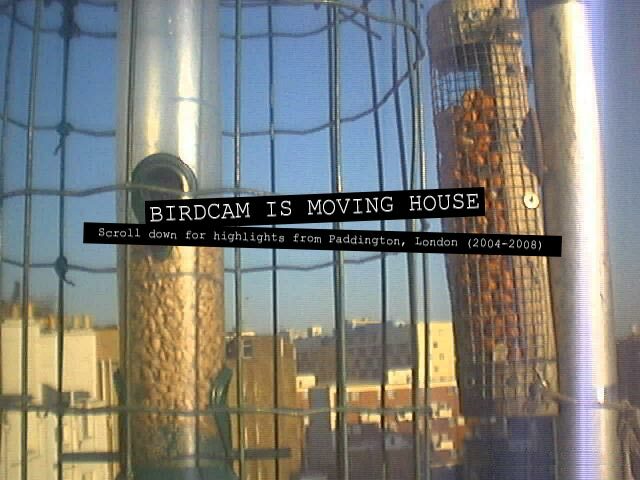 I knew the condition were good and the reports from the previous day were showing good birds. 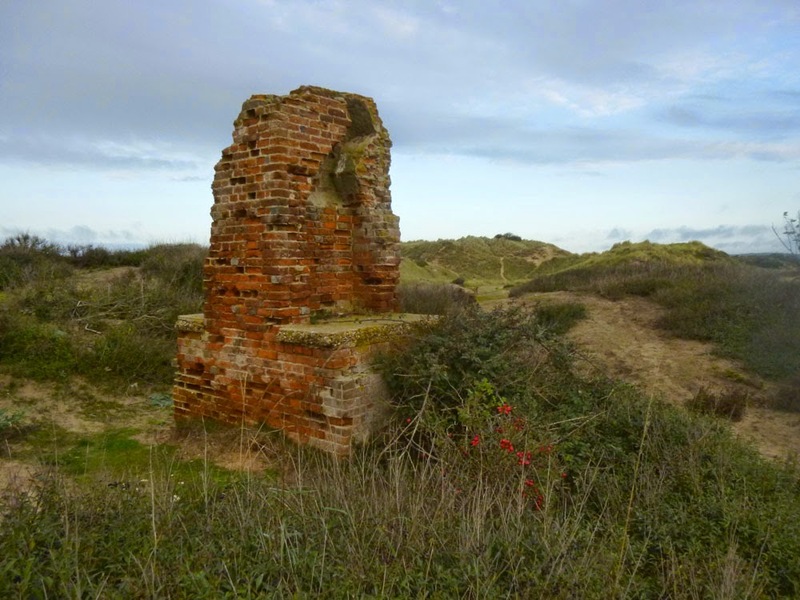 I'd already decided I was going to my favourite spot - Burnham Overy Dunes. The birders I passed on the way out to the dunes were mentioning Raddes Warbler and Great Grey Shrike so my already quick pace turned into speed walking. There were good numbers of birds on the dunes and it was obvious there had been a fall. 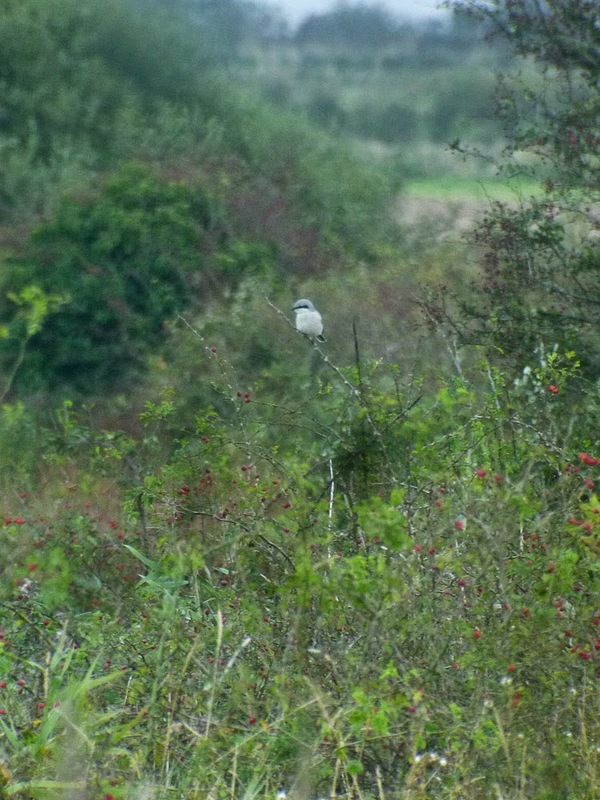 It's no exaggeration to say there was almost a bird to every bush between Gun Hill and the edge of Holkham Pines. 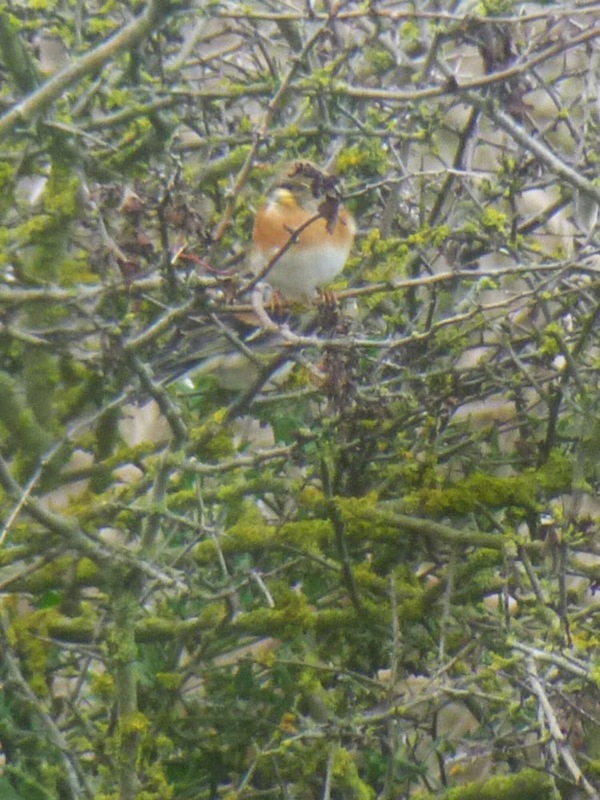 The two most numerous species were robins and goldcrests. Experienced local birders were saying they'd never so many goldcrests. 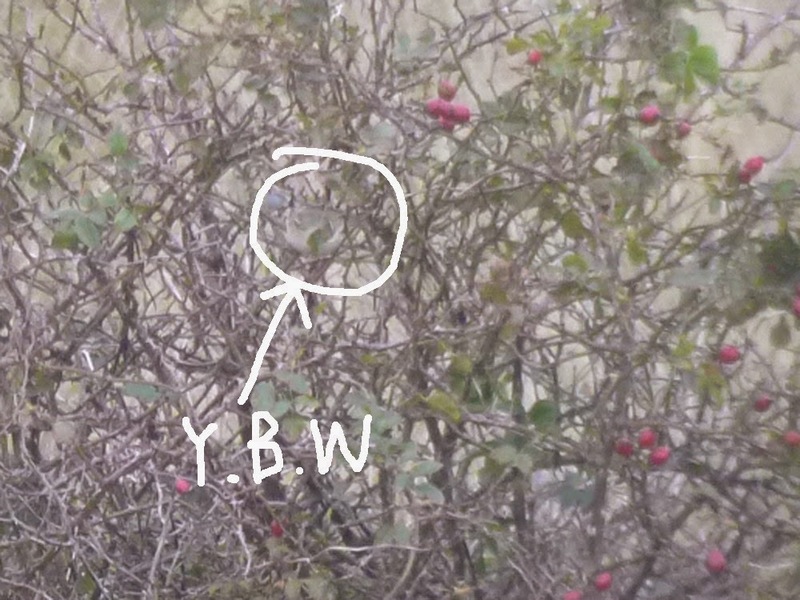 It took me ages to get to Holkham pines, literally not being able to put my binoculars down with so many birds to inspect. When I eventually got there I got the Yellow Browed Warbler I had so craved, giving good close views whilst busily feeding. I made my way back towards Gun Hill (pic of brick ruin) picking out Wheatear, Bramblings, Redwings, Song thrushes among the robins. I gave the Gun Hill area a good scanning - goldcrest, goldcrest, goldcrest... and with light fading I started to make my way home when I had another YBW giving great views. Bonus! But there was more to come. 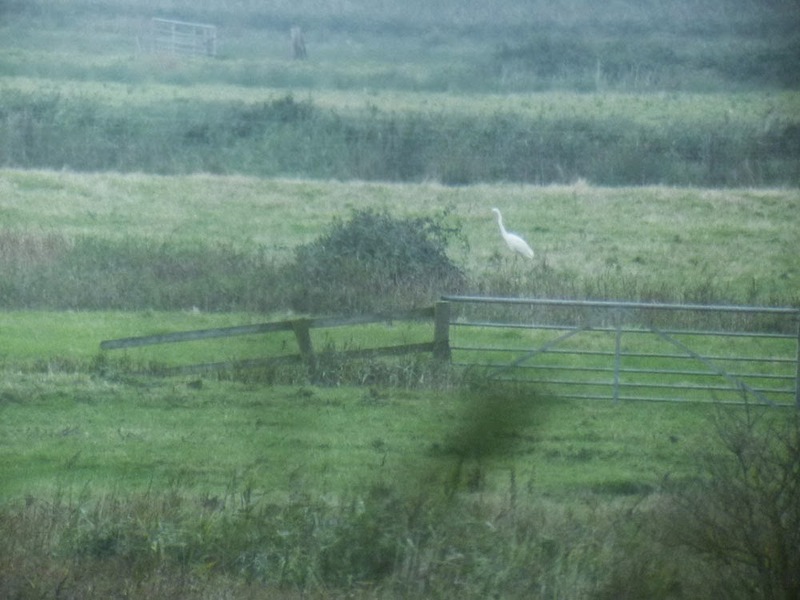 Scanning for Marsh harriers from the coastal path I got a Great White Egret in the fields. I was feeling invincible so carried on scanning on my walk back to the car. 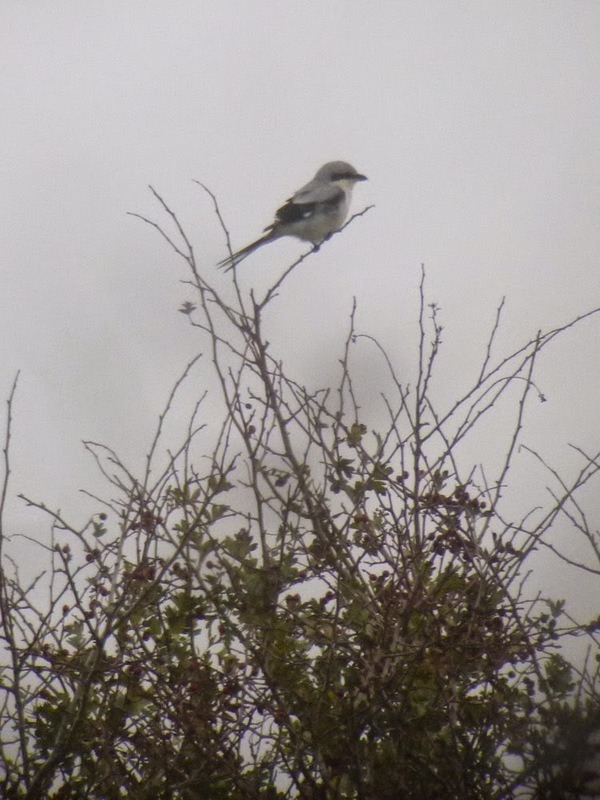 And, as if I could sense it was going to happen, there it was, a Great Grey Shrike sitting on top of a bush sticking out like a sore thumb. It was distant but luckily on an accessable lane off the main path. I got to a safe distance and had great views of it til it was dark.